Arkeo Films’ newest production Apocalypse Child continues to receive acclaim as it is the latest Filipino film to receive a grade of A from the Cinema Evaluation Board (CEB). The grade entitles the movie, which opens in cinemas on October 26, to get a 100-percent tax rebate. 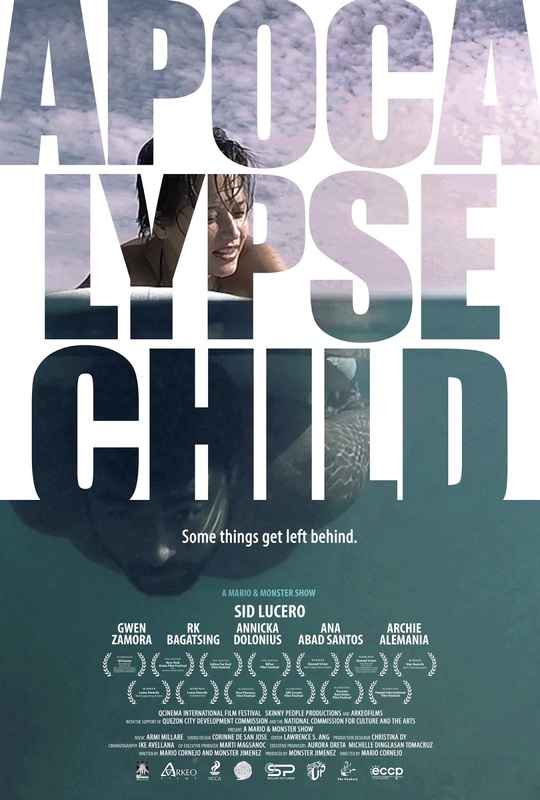 Apocalypse Child tells the story of Baler-based surfing instructor Ford (played by Sid Lucero) who is supposed to be the son of a famous American director. One summer, this often-told tale comes to fore as the instructor’s childhood friend Rich, now Congressman of Baler (played by RK Bagatsing), has pulled strings for the director to acknowledge Ford. Chona (Ana Abad Santos), the mother of Ford, is ecstatic. This development comes at a time when Rich is engaged to be married to Serena (Gwen Zamora), and Sid has a romantic affair with a young Fil-Am tourist Fiona (Annicka Dolonius). Apocalypse Child is distributed by Solar Pictures. The movie is supported by Belo Sun Expert. For updates, like the Apocalypse Child Facebook page and check out website apocalypsechild.com.